Search Results for "open pit"
1970s: Spinning machinery. Man walks across mining area, near open pits. Man walks up to railing around pit, looks down. 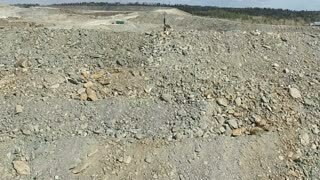 Coal mining at an open pit. Fossil fuel industry. Environmental challenge. Aerial view. Time-lapse of open pit copper mine. Mountain carved into terraces for mining and forming an artificial lake. Sunset time-lapse of open pit copper mine. Mountain carved into terraces for mining and forming an artificial lake. Rio Tinto mining in Huelva Spain. From this open pit mines tons of copper, zinc, gold, silver,lead and other metals are being extracted since year 3000 BC to nowadays. Abandoned tower in Rio Tinto mines in Huelva Spain. From this open pit mines tons of copper, zinc, gold, silver,lead and other metals are being extracted since year 3000 BC to nowadays.